Colin Park is a Director at VMG Health and is based in the Dallas office. His focus has been on developing client relationships and providing valuation, transaction advisory, and operational consulting services in the healthcare services industry. Specifically, he has significant experience with the acute care and specialty hospital, ambulatory surgery center, oncology center, diagnostic imaging center, dialysis center, physicians group, and numerous other ancillary healthcare service business segments. 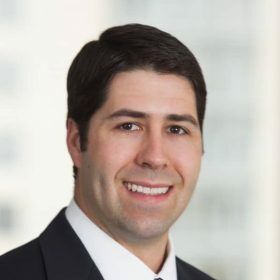 In addition to the extensive valuation experience for transaction planning and financial reporting purposes, he has consulted on numerous development, feasibility, and denovo business development engagements. Clients include for-profit and not-for-profit health systems, ancillary services providers, development companies across several healthcare industry sub-specialties, and other publicly owned and privately held healthcare entities. Prior to joining VMG Health, Mr. Park worked as a senior associate in the Planning and Financial Group at Greystone Communities, Inc. and as an analyst in the Tangible Asset Group in Financial Advisory Services at Houlihan Lokey. Mr. Park received a Bachelor of Business Administration in Accounting, a Certificate in International Business and a Masters of Real Estate Finance from the Mays Business School at Texas A&M University. Mr. Park is a licensed Certified Public Accountant (CPA) in the state of Texas, an Accredited Senior Appraiser (ASA) with the American Society of Appraisers and holds the Accredited in Business Valuation (“ABV”) designation.